If you are going to start selling public domain material or start an online business that uses public domain material in some sort of context then it is necessary to understand how to drive traffic or visitors to your website. One way to do this is with linking and social bookmarking. The below ebook, The Authority Black Book, is free and will help you immensely in the development of your website and will help you to start making money. There are many ways to profit using Public Domain Material, during the next year I will also share with you some of the basics of internet marketing and share some of the tools needed to get online with your own website, get traffic to your website, market and sell your product and have a profitable business. Ever hear of Jack Humphrey, he wrote a book and gave it away free….it’s better than 99% of the paid books I’ve read and it covers blogging and social bookmarking of which Jack is an or I should say THE expert!. This ebook is called the Authority Black Book by Social Marketing Expert….Jack Humphrey. Jack is the go-to guy who consults gurus and experts the world over on link building and social marketing strategies. The Bible says have no other Gods besides me…well, Jack is the closest thing you’ll ever get to a social marketing god and by reading the Authority Black Book, my traffic and rankings have made a steady upward climb. I really can’t understand why Jack gives this book away…if I wrote it, you’d pay a 100 dollars for it. If you want to learn new techniques, tactics, and resources for driving more traffic to your websites than you really need to read this because honestly, he could easily turn this into a $97 ebook and it would be a deal at that price. 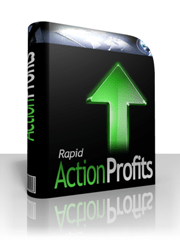 But its really a no strings attached download you can grab right now and start benefiting from immediately. You don’t even have to finish reading the book, grab the first tactic and apply…so you’ll see the results within an hour of reading….no BS! My purpose is to bring you good stuff…..it doesn’t get any better than this and the price is right :). One more thing – Authority Black Book has been fully revised and is in its 2nd release filled with brand new content. Some people have read the first Black Book and were stunned…also made a lot of money. Jack completely revised Version 2.0 of The Authority Black Book and the information is cutting edge. Anyway, I wanted to point that out because if you read the first version you really need to download the second version today. I really don’t want you to be confused if you read this before, this is a completely new version with new information….so please do yourself a favor download it today….don’t forget, read it too :)!